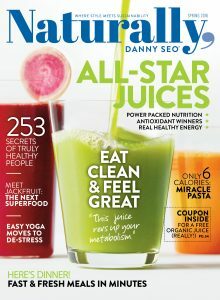 Thank you for your interest in subscribing to Naturally, Danny Seo! Thank you for your interest in Naturally, Danny Seo. Click HERE To subscribe, or call 1-800-274-0140. Naturally, Danny Seo, the magazine, celebrates where lifestyle and sustainability meet. Home, food, entertaining, travel, and everyday life are enhanced by natural, healthy, modern living. Each issue engages, educates, excites, and inspires. Think Pin-worthy decorating ideas, entertaining with ease, meaningful travel and beauty that feels good inside and out. Whether it’s using homegrown ingredients from your garden, redoing your house with low-emission paint or celebrating the outdoors, Naturally is a magazine for how we live today.